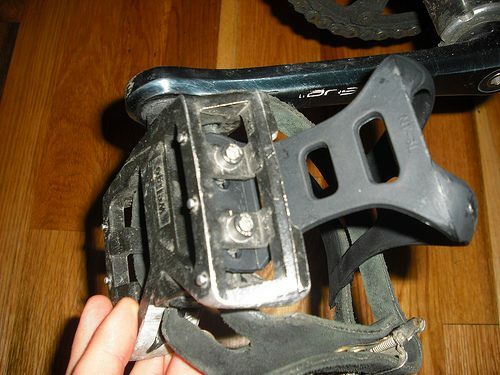 A while back, Drew at Milwaukee sent me some hacked up Wellgo pedals. They’re the result of a conversation we had regarding me constantly getting pedal strike while riding fakie and cornering tightly. Since I’ve been riding them, I’ve yet to get serious pedal strike. 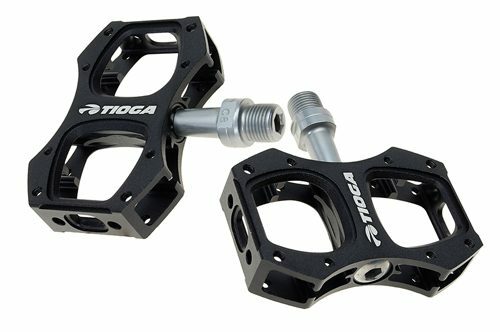 Now, it seems like Tioga has a pedal available that addresses this problem. I thought I had seen them before somewhere, but perhaps not. 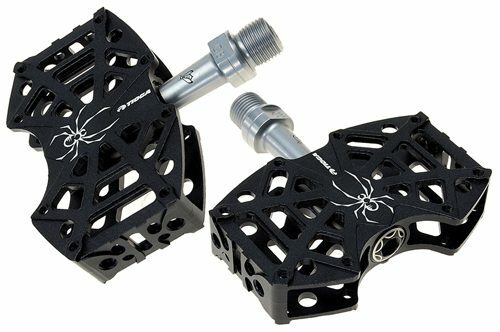 It looks like D-Spider is roughly the same width as my Wellgos, so I may give them a try. All sealed bearing, cromo axles and pretty light. Surefoot 125g ea. $75 pr. Spyder 130g ea. $80 pr. D-Spyder 155g ea. $85 pr. 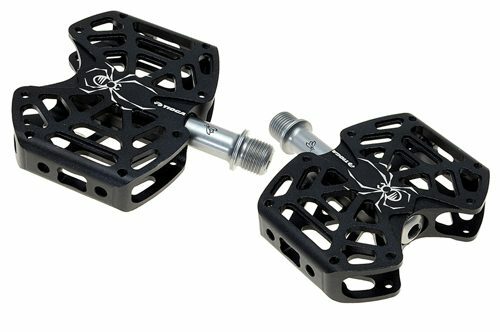 It’s a shame the retail is so high, because pedals always get thrashed when you’re using them for tricks. These also come with a 35 piece spike kit and their own wrench. Sorry for leaving this out before.